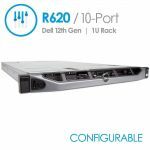 The Dell PowerEdge R910 is a high-performance 4-socket 4U rack server that features built-in reliability and scalability for mission-critical applications. With up to four Intel Xeon 7500 series processors and 1TB of RAM, the R910 can handle the most demanding loads you can give it. 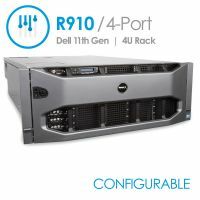 If you're looking for the perfect building block for the heart of your datacenter, look no further than the PowerEdge R910. 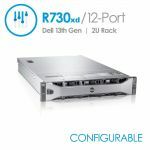 4-Sockets for Intel Xeon 7500 series processors and 64 DIMM slots that hold up to 1TB of RAM make the R910 the perfect virtualization server. 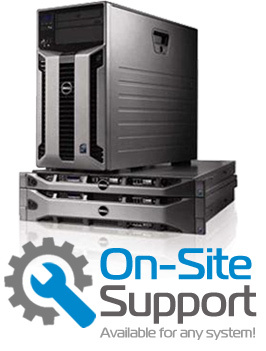 Unified Server Configurator (USC), which helps to minimize downtime by offering embedded and persistent diagnostics with no media required. Tool-less access to internal components, and the number of cables inside the servers is minimized for further simplicity. 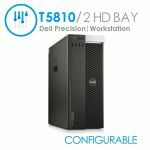 Internal Dual SD Modules provides failover at the hypervisor—a reliability feature designed with direct input from Dell customers. 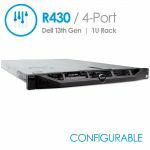 More information about its specs can be found on the official Dell PowerEdge R910 Spec Sheet.